NEW YORK – If you have ever been in a fender-bender, it can be frustrating. Hopefully, it’s minor and you walk away without any injuries but sometimes accidents can be devastating. Any time a person is injured in an accident, it can put a strain on your health, your job, your relationships, and your finances. Just one accident can change your life. This week, Americans honored the lives of seven people who were killed in one of the nation’s most horrific accidents. 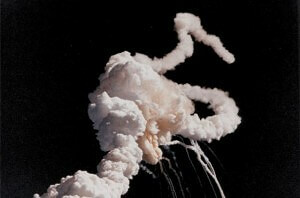 They were engineers, physicists, service members, pilots, and teachers aboard the Space Shuttle Challenger. A New York personal injury attorney at Cellino & Barnes says this one tragic event affected so many American lives. The space shuttle’s external fuel tank collapsed, causing the shuttle to break apart just 73 seconds into its flight. A major investigation tasked with finding the cause of the accident discovered that a fault seal on one of the rocket boosters didn’t function correctly. Federal investigators say the accident could have been prevented: it was a design flaw. Engineers originally recommended postponing Challenger’s launch date because the “O-ring” seals had not been tested in low temperatures. Mission managers had only slept for two hours before they rejected the engineers’ recommendation. Families of the Challenger crew members received settlements 11 months after the crash. More than half of the settlement payments were made by the manufacturer responsible for the space shuttle’s rocket boosters. The accident was no doubt a tragedy and it completely changed America’s space program. After Challenger, NASA completed a total redesign of the space shuttle’s rocket boosters. The space agency also created the Office of Safety, Reliability and Quality Assurance, which continues to be responsible for safety analysis and assessments of space technology. Beyond these changes, the Challenger had a larger impact on America: although its crew never completed its educational mission, heartbroken families and friends have continued it by establishing and supporting the Challenger Center, a non-profit educational organization that aims to teach children the importance of science, technology, engineering, and math. One accident continues to have a profound impact on many lives. Today, there are more than 40 Challenger education centers around the nation encouraging millions of children to reach for the stars. BUFFALO, N.Y. – Workers across the nation are enjoying a construction boom and some areas like Western New York are seeing great benefits. However, there are extreme safety concerns. The Western New York Council on Occupational Safety and Health (WNYCOSH) released a report this week that found safety violations were discovered in 83 percent of the construction inspections conducted by the United States Occupational Safety and Health Administration (OSHA). WNYCOSH members also concluded that federal investigators don’t conduct enough safety inspections in the Buffalo-area. A construction accident attorney at Cellino & Barnes says the findings are concerning and many workers could get hurt without the proper safety protocols. There were thousands of construction permits issued in Western New York in 2014 and according to the WNYCOSH report, OSHA only conducted 288 inspections that year. That’s roughly one inspection per weekday in an area that covers ten counties, including two heavily populated metropolitan markets (Buffalo and Rochester). The report stated it focused its research on construction falls because the construction industry and its insurance companies are currently backing legislation that would weaken New York State’s Scaffold Safety Law, which holds owners and contractors liable for many types of injuries. The proposed changes would allow employers to take more safety shortcuts and the risk of worker falls would likely go up. Many workers who have been injured on a construction site may need an advocate who will protect their rights and help them receive fair compensation. For over 50 years, the Buffalo construction accident attorneys at Cellino & Barnes have helped workers get the best results possible. 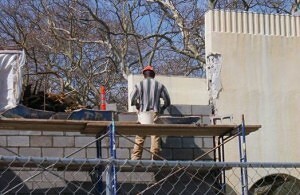 Click here to learn more about construction injuries and how one of our legal advocates can help. NEW YORK – A massive snowstorm crushed the east coast with a coat of snow last weekend. It caused dozens of accidents resulting in several injuries and nearly 40 deaths. 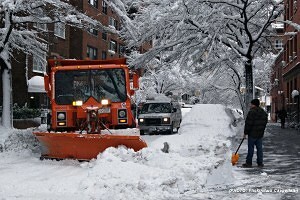 Many areas across the coast, including New York City, imposed travel bans as crews began removing up to 3 feet of snow. Despite the warnings and travel bans, some drivers took a huge risk by taking their cars and trucks onto the roadways – and some of these cars made the weekend very dangerous. A New York car accident attorney at Cellino & Barnes says the sudden winter weather played a major role in many accidents but most of them could have been prevented. In Washington, an 82-year-old man went into cardiac arrest and died while shoveling snow in front of his home. In Kentuhttps://www.fox5dc.com/news/local-news/82-year-old-man-dies-while-shoveling-snow-in-dccky, police said a car crashed into a salt truck, killing one driver and injuring several others. On Long Island, a 66-year-old man was standing in front of his home when a private snow plow struck him. According to PIX11, he was rushed to North Shore Syosset Hospital where he was pronounced dead. In New York City, at least three more people died while shoveling snow, according to the New York Police Department. Several others were found in their vehicles and treated for carbon monoxide poisoning; their tailpipes were found to be clogged with snow and ice. When the travel ban was lifted in the city, the problems continued. Monday morning’s commute had cars moving along highways at speeds in the single digits and some streets were still packed with snow. New York car accident attorneys say the slippery roads created dangerous conditions but in most cases, drivers have a responsibility to adjust to these conditions. If you’ve been injured by a negligent driver, a car crash attorney at Cellino & Barnes can provide a detailed case evaluation for free. Contact Us now to speak directly with a personal injury lawyer. 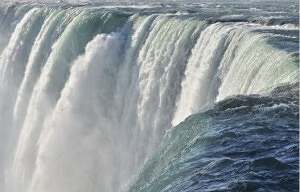 NEW YORK – Every day you are faced with thousands of decisions: Should you jump in the river? Should you swim across it? The good news is that they are usually your decisions to make… but there are exceptions. Exceptions like car crashes. Although you’re abiding by the rules of the road, someone else may not be; and when their car collides with yours, you could be paying for an expensive injury – even if you didn’t do anything wrong. A Queens car accident lawyer at Cellino & Barnes says for those exceptions, there are lawsuits. Your decision-making process may conclude that swimming across the river when it is swarming with alligators is an unreasonable risk. 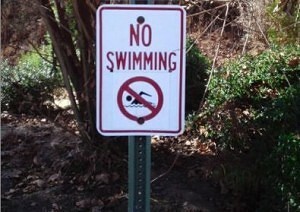 But if the alligators aren’t there, you might be able to get across. However, there are some risks you may not be aware of. That’s how America developed the class-action lawsuit. Class-action lawsuits are filed when many people have the same or similar complaints against one particular person or company. 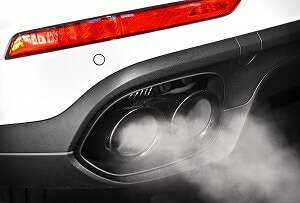 Here’s a hypothetical example of one: What if an automaker installed a computer program in thousands of cars that would allow the car cheat an emissions test? Everyone who bought one of these vehicles may have believed they were following all the environmental guidelines or, perhaps, even saving the environment. Instead, they found out they were pumping harmful gases into the atmosphere they breathe. Since it would be so time consuming to file individual lawsuits, all these customers came together and filed one claim against the car company. This possible threat of a costly lawsuit should give that car company an incentive not to misbehave. Unfortunately, this isn’t really hypothetical. It actually happened. In September, Volkswagen admitted its “Clean Diesel” cars were cheating emissions tests and the company now faces several lawsuits that could possibly change the way Volkswagen programs its vehicles and the way governments conduct emissions tests. In the end, hopefully, the consumer should be better protected from harmful emissions. “Many lawsuits not only help victims recover from damages, they can also motivate companies to avoid similar mistakes,” Cellino said. BUFFALO, N.Y. – What if we told you that your vehicle could stop an accident from happening? Sounds good, doesn’t it? That technology actually exists and thousands of cars are equipped with it but probably not yours. 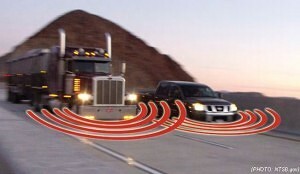 Automatic braking is a crash prevention system that allows your vehicle to sense traffic or an obstacle in its path and adjust the speed accordingly. In some cases, the automatic brakes will completely engage to avoid an imminent crash. Unfortunately, not all vehicles are equipped with this technology. Many automakers are instead charging top dollar to include the safety feature in premium packages. A Buffalo car accident attorney at Cellino & Barnes says it’s a shame because the technology could prevent thousands of accidents and keep many drivers out of the hospital. The outrage toward automakers extends into the federal government. The National Transportation Safety Board (NTSB) is urging regulators and industry executives to quickly adopt automatic braking, among other safety features that have been pushed aside. In its annual “Most Wanted” list, the NTSB explained the importance of collision avoidance technologies and chastised automakers for not including them in standard packages. The National Highway Traffic Safety Administration (NHTSA) discovered that the primary reason for rear-end crashes was driver inattention and the NTSB argued that collision avoidance tech could have saved 28 lives and prevented dozens of other injuries between 2012 and 2014. Since the auto industry is not reacting as quickly as some would hope for, many regulators are heading to Congress to seek laws that would require the safety features on all vehicles in the same way that dual airbags were mandated in 1998. NEW YORK – If you’ve ever been in a car accident, you know there are headaches. Some of those headaches stem from the frustration of working with insurance companies and other headaches could stem from the injuries suffered in the crash. Either way, it’s not a pleasant experience. Nearly 300,000 car crashes happened in New York State last year, according to the Department of Motor Vehicles. Many of those crashes resulted in serious injuries – with expensive treatments. Some victims could be forced to pay $50,000 or more due to injuries suffered in a car crash. A Brooklyn car accident lawyer with Cellino & Barnes says it is important to document everything – including your injuries. 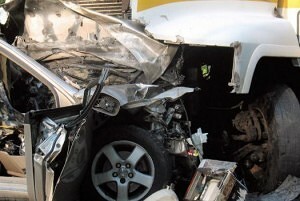 Lawyers say the most important thing to do after a car accident is to assess the injuries and call 911, if necessary. Even if everyone is walking and coherent, injuries can manifest over the next few days, weeks or months. Some injuries like concussions can slowly develop severe symptoms over time. Even if an insured driver is found to be at-fault in an accident, they could collect up to $50,000 to cover lost wages and medical bills in Brooklyn. If you’ve been injured, you may require a skilled attorney who will represent your rights throughout the claims process. The Brooklyn car accident lawyers at Cellino & Barnes can help guide you and obtain all the information necessary to get the best results possible. NEW YORK – If you own a car made by Volkswagen, you likely heard about the company’s dirty secret: their “Clean Diesel” vehicles are not so clean after all. In fact, the U.S. Environmental Protection Agency says regulators recently uncovered a computer program that was intentionally installed in thousands of Volkswagen vehicles that would cheat global emissions tests – hiding the fact that the “Clean Diesel” vehicles actually emit up to 40 times more pollutants. A New York Volkswagen emission lawyer at Cellino & Barnes says more than 600,000 diesel vehicles were sold in America and many owners are taking the automaker to court. According to Reuters, dozens of Volkswagen shareholders are also driving to court. They plan to get compensated for their losses after shares plunged due to its reported test-cheating. Volkswagen (VW) shares have plummeted in value – an estimated $24 billion drop since the company admitted to misleading regulators in September. Although federal regulators say the affected vehicles are safe to drive for now, New York Volkswagen emissions attorneys at Cellino & Barnes say owners and lessees have a lot to lose. Already, the value of VW’s “Clean Diesel” vehicles has diminished significantly and any recall would likely have severe impacts on performance and fuel economy. ROCHESTER, N.Y. – Do you have plans to go skiing or snowboarding this winter? If so, sprinkle some safety on top; it could save you a lot of pain, suffering and money. According to a study out of the Rochester Institute of Technology, up to 3 out of every 1,000 ski visits will result in an injury. Snowboarding is even more dangerous. Researchers estimate six out of every 1,000 snowboarders will end up in the hospital. Rochester personal injury attorneys at Cellino & Barnes say ski and snowboard injuries are often very serious and few families are prepared for such a sudden and large medical bill. Academic studies on ski and snowboard accidents are rare – but doctors estimated the total cost of these accidents to be over $22,000 in 1996. That’s roughly equivalent $33,500 today. Doctors say the most common skiing injuries affect the knees and they often require reconstructive surgery. Snowboarders are more likely to suffer wrist sprains and fractures because of the manner in which they fall. Warm-up. Properly stretching and exercising every day can improve posture and endurance, preventing falls. Don’t overdo it. If you start to feel fatigued, take a rest. When your muscles are worn out, they’re more susceptible to injury. Take the bunny hill. Especially for those who are new to skiing, the more difficult terrains can pose a number of dangers. If you’re not an expert, avoid the expert slope – they sometimes have unmarked obstacles. Wear the right safety equipment. Properly selecting a ski size and getting fitted for a helmet is extremely important. Make sure you’re always wearing protective equipment – even when you’re stopped. Another skier could run into you at any time. Also, know the statistics. Most injuries are caused by falls and collisions. Be aware of your surroundings on the slopes and become familiar with the terrain. If you have any doubts about your skill level, don’t try the downhill slalom course. Rochester personal injury attorneys say it’s better to enjoy a day on the slopes than a day in the hospital. NEW YORK – Your car is probably much safer today than it was 10 or 20 years ago. New vehicles now include more safety features than ever and most cars are rigorously tested for safety quality and adherence to federal guidelines. Although safety improvements like airbags and seat belts have curbed crash fatalities, car accidents remain one of the top causes of death and critical injuries in the United States and some safety advocates say more improvements can be made. A new study in Injury Prevention found that rear-seat passengers are often left unprotected or under-protected by many vehicle safety features, including some seat belts. A Bronx car accident attorney at Cellino & Barnes says rear-seat passengers can often suffer more serious injuries due to the lack of safety measures. Researchers analyzed dozens of car accident records and found that rear-seat passengers commonly suffered chest injuries – including broken ribs or a cracked sternum. Abdominal and head injuries were also common. The study found that children under the age of 15 would often strike their head against a front-seat head rest or a window frame during a crash. 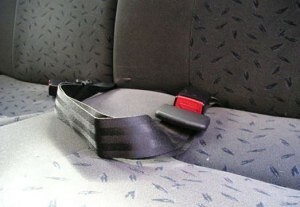 Researchers said ideally, seat belts should have ‘webbed clamps’ that stop the belt from moving during sudden jolts. The study also points out that most vehicles do not equip warning systems to remind passengers to fasten seat belts that are not buckled.